YouTube is an awesome resource for people learning languages. Want practice listening to another language, chances are you can find content in your target language. The problem, most of that content is spoken at full speed and if you are not a native speaker, full speed is just to fast for you. Rumor has it there are websites out there that will slow down YouTube videos for you (I haven't tried any yet). Over 20 languages! 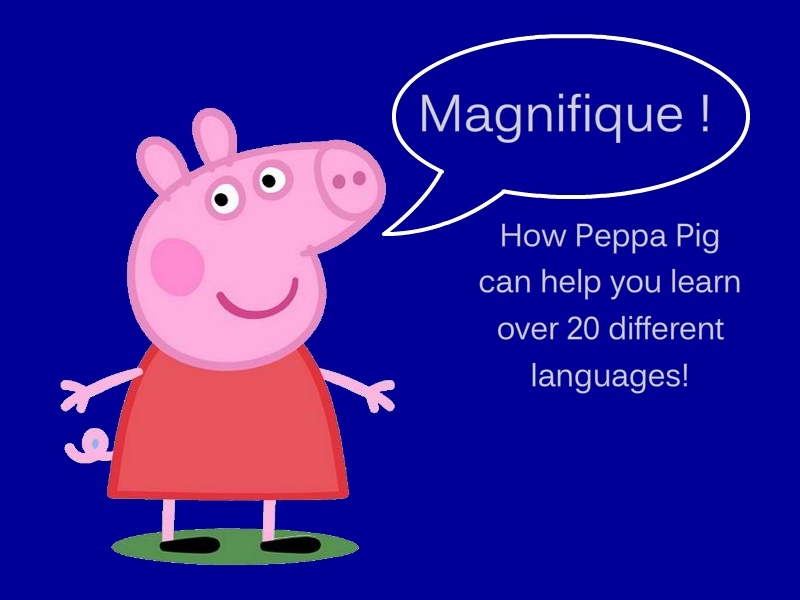 Who knew Peppa Pig was a Hyperpolyglot? Peppa Pig is a children's animated program from the U.K. There are two things about Peppa Pig that are great for language lovers. One: it's translated in over 20 languages. Two: the dialog in Peppa Pig is spoken a little slower than most of the full speed content you'll find on YouTube and elsewhere. Since Peppa Pig and her friends speak a little slower than average, it will be a little easier for you understand what's going on, and more fun to watch. To find content in your target language, go to YouTube, search for "peppa pig" then the name of the language you are learning. For example, you could search for "peppa pig french", but don't forget "peppa pig francais" also. Of course there isn't Peppa Pig content in every language. (No Peppa Pig in Lao. Anyone know of any easy-to-understand Lao I can watch?) I made a list below of links to Peppa Pig on YouTube in different languages. I don't know if the list is complete, but I'm sure you are smart enough to use the search box in YouTube if what you are looking for isn't here. Am I missing any? Are there other easy programs in many languages I should know about? Let me know in the comments below? Croatian Peppa Pig has the same name as Serbian: Pepa Prase. Most of the episodes I've found on YT are Serbian, but this one is for sure Croatian: youtube.com/watch?v=f8iFHedyLUc. Thanks, Katja! I've fixed the list above for Croatian. You might want to add English if it's there. Good for those learning English but also for if you want to watch it first in your Native language. Great idea, Shannon. I didn't think about all the English learners out there who might be looking at this list. I've added it above. Under "Derkucja Pepa" you can find it in albanian. There is no japanese version of Peppa Pig on web. I have no news about its broadcasting on NHK or on any other japanese TV channel. anyone found it in hebrew? Having trouble finding Peppa Pig in Spanish with English subtitles... any suggestions? Can we watch Peppa pig in Norwegian? Let me know. Thank you ! Peppa Pig is available in Georgian as well. Her name is გოჭი პეპა (Goch'i P'ep'a). Thanks, John! It's been added to the list!